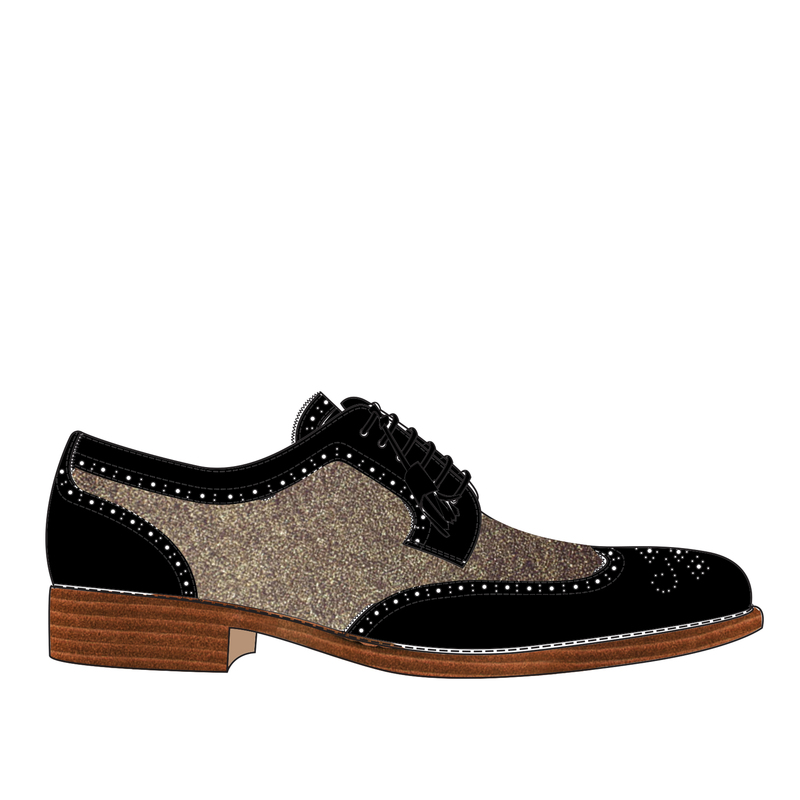 En Brogue LCF competition – the AMAZING winner! 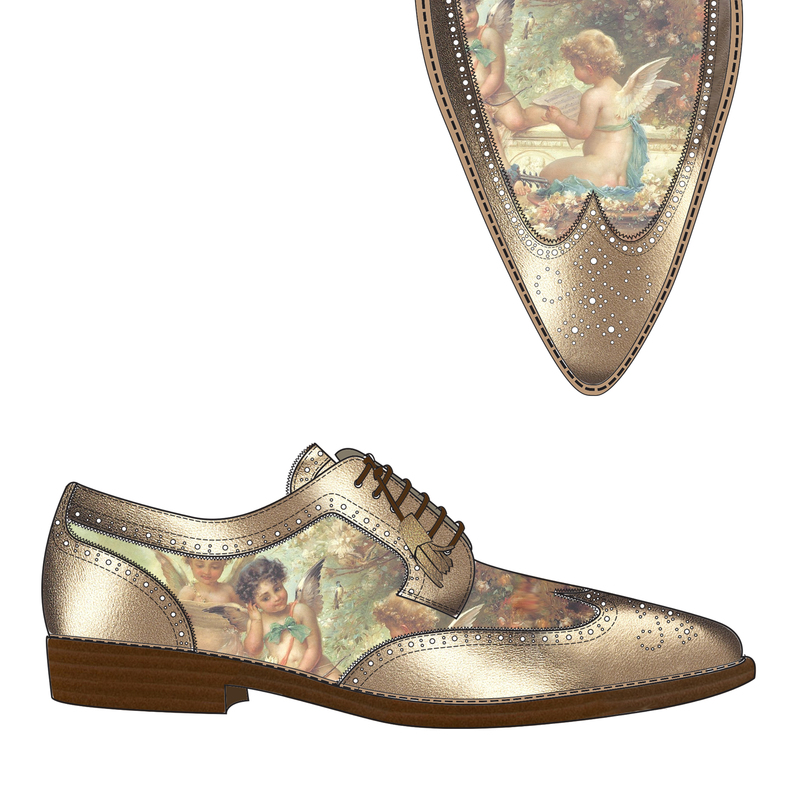 I am really happy to announce that the winner of the En Brogue competition is Anna Domnich. 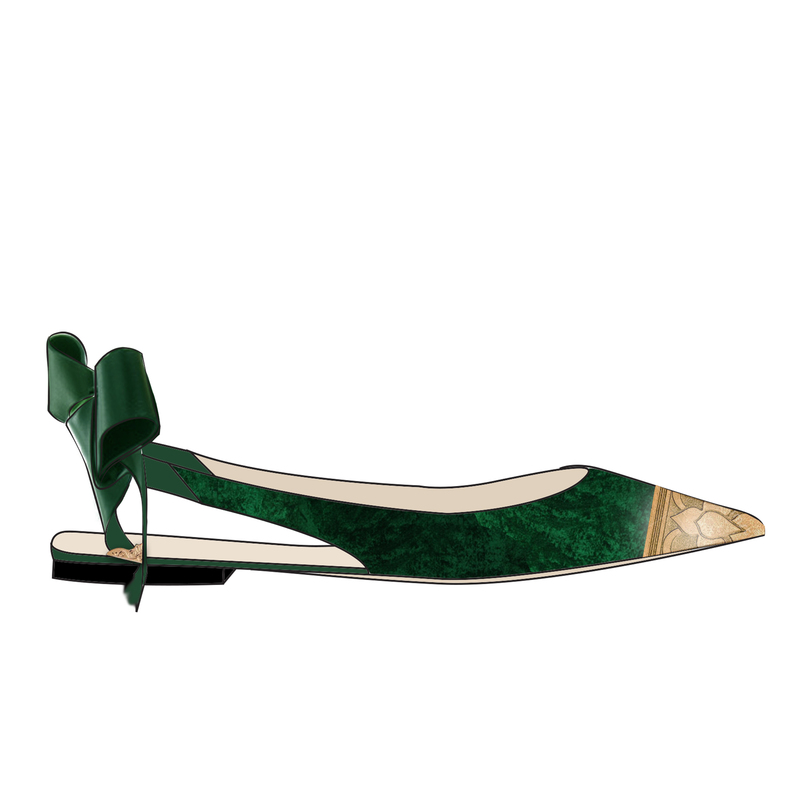 Anna, who is in her third year studying BA Hons Cordwainers Footwear: product design and development at the London College of Fashion, was a clear winner for me, as when she was asked to design the perfect flat party shoe, she ended up designing an entire collection! And within the collection are five sub-collections, designed with a certain type of girl in mind. Anna’s entry was a presentation with gorgeous vintage pictures and descriptions for each type of girl. “I chose five stereotypes of women,” she told me “and I observed my friends and thought of how they celebrate Christmas and what kind of shoes they would want to wear.” Is she one of them? “Hard to say.. I think I’m a mixture of all five”. I thought I’d start by introducing you to my favourite party girl: Charlotte. The Charlotte collection is made up from ankle boots because Charlotte “prefers a cosy Christmas night by the fireplace with her beloved in the countryside”. That’s definitely me. 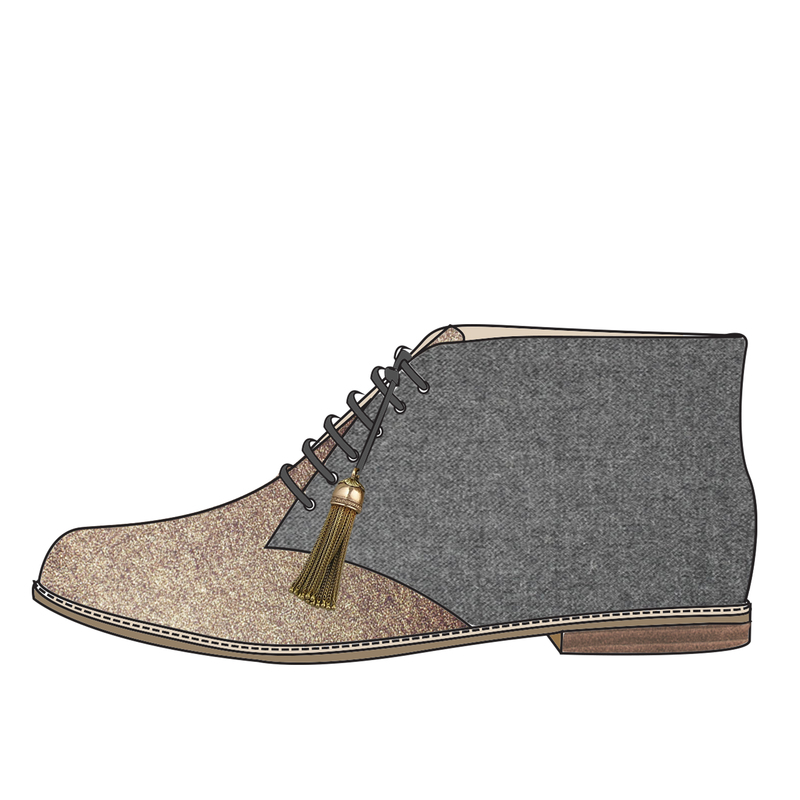 And I ADORE the grey woollen boots. Fancy something a bit more bling? The Nancy collection might be more up your street. “She’s a glamorous diva, she loves attention and she attends lots of black tie events, so her outfits are always elegant, tasteful and chic”. 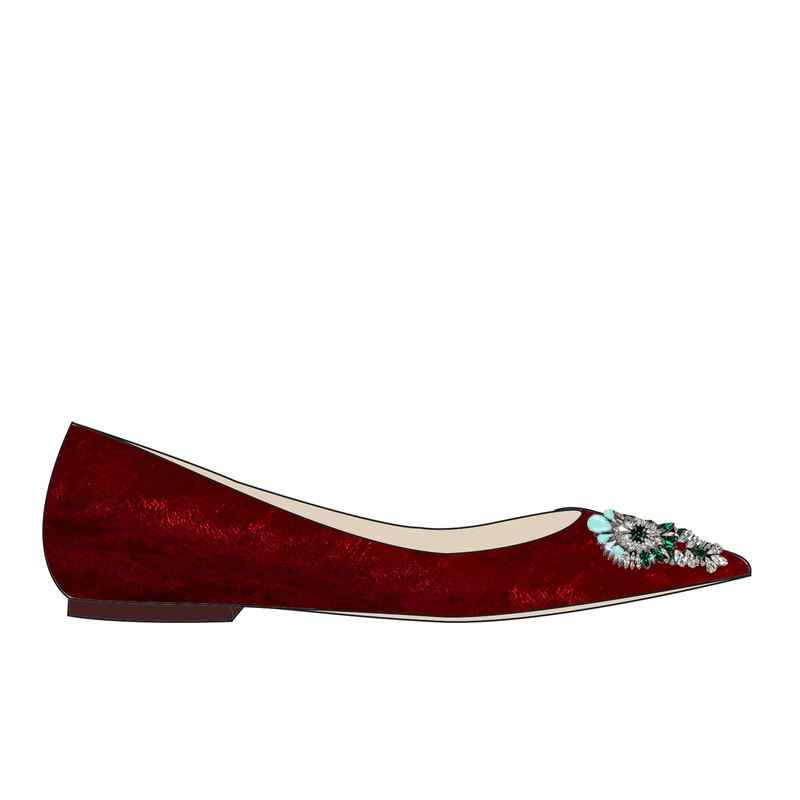 These are the perfect alternative if you usually wear heels to posh events. How about if you’re a demon on the dance floor? 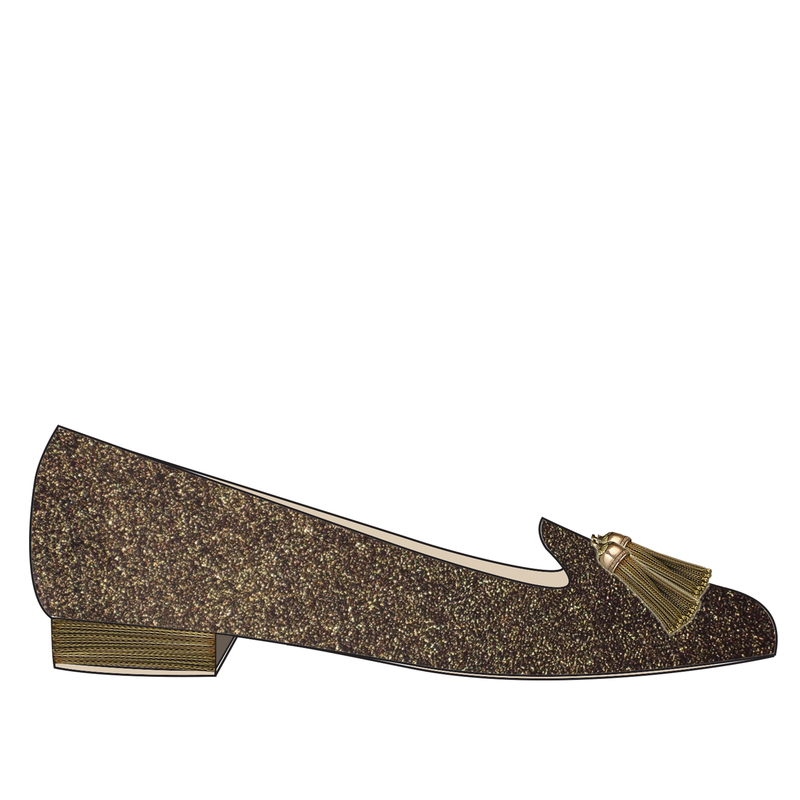 Mary is a collection of flexible shoes with fun details like gold glitter soles for when you throw some amazing shapes at the work Christmas do. 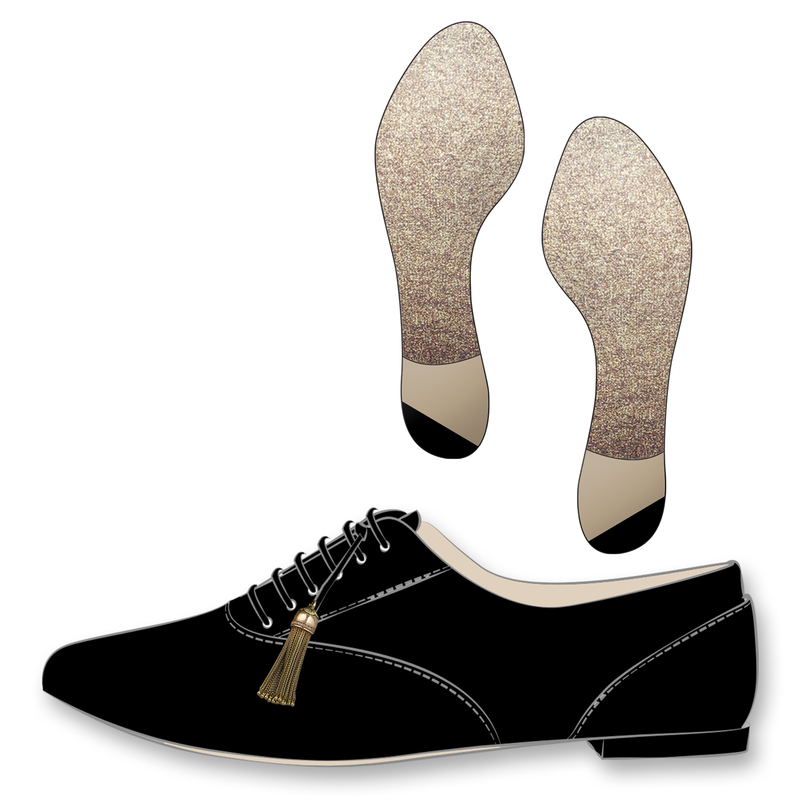 I’d like to adapt a pair from this collection by adding taps – the ultimate dancing shoes! “Betty is a naughty little thing. She loves to have fun, make jokes and have a good laugh all night!” I want to go to a party with Betty! Although I’d spend much of the night admiring her shoes. I LOVE these masculine styles with a party edge. 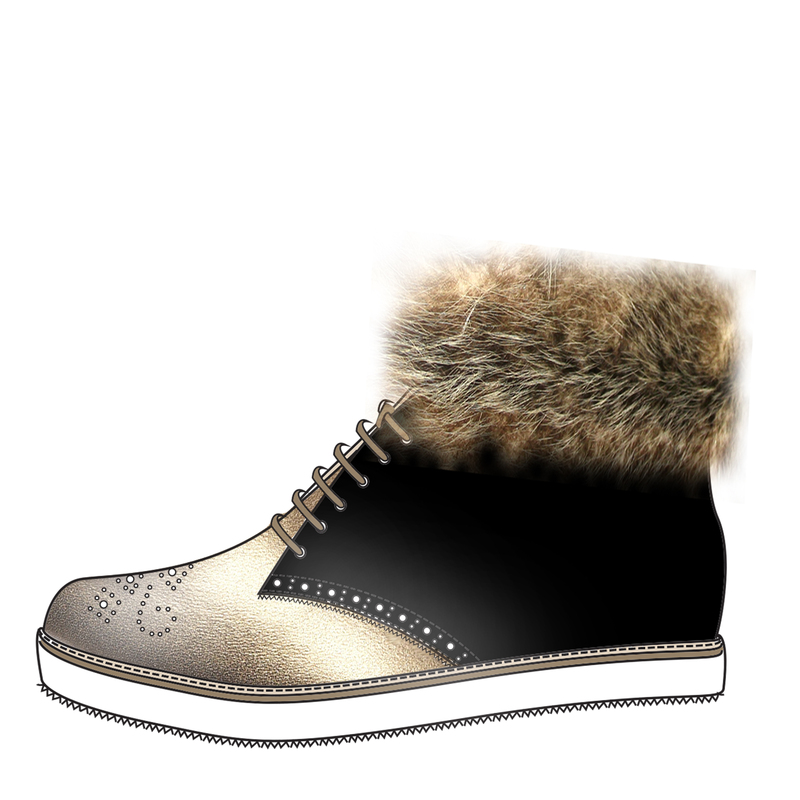 That chunky glittery sole is to die for. Back to a bit of girly opulence with the final collection. 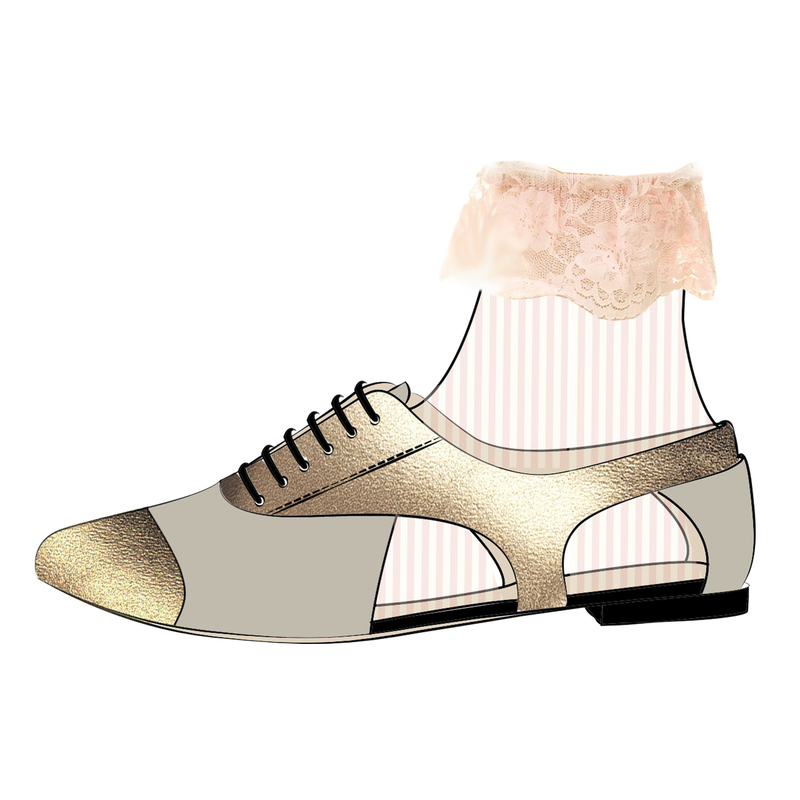 “Rose is very feminine; this can be seen through her footwear choices. She loves ballerinas, especially with pointy toes”. 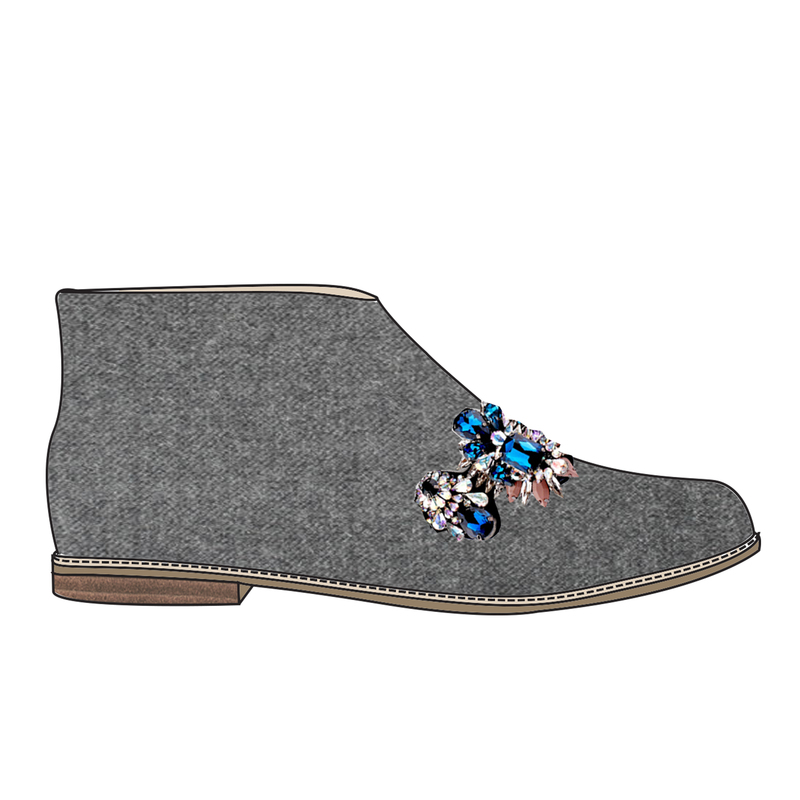 These shoes are particularly on trend for AW14, using velvet and luxe finishes like pearls. They would look beautiful with a long, ball gown – just look on the catwalk – no-one styles gowns with heels anymore! I wish Anna the very best of luck with her career, though I have no doubt she will be snapped up by a major brand or start her own line before long! She didn’t even set out to be a shoe designer. “I was actually applying to study fashion design & marketing course and randomly added a couple of shoe drawings to my portfolio. To my surprise the interviewers were really impressed with my shoe designs and suggested that I choose to do footwear design instead”. I’m so pleased she did! All that remains is for me to ask you lot a question. What’s your party shoe personality? I’d love to know whether you’re a Charlotte or more of a Rose…do leave comments below. And I’m sure Anna would be keen to hear which ones are your favourite designs too! Beautifully detailed work — and so imaginative! 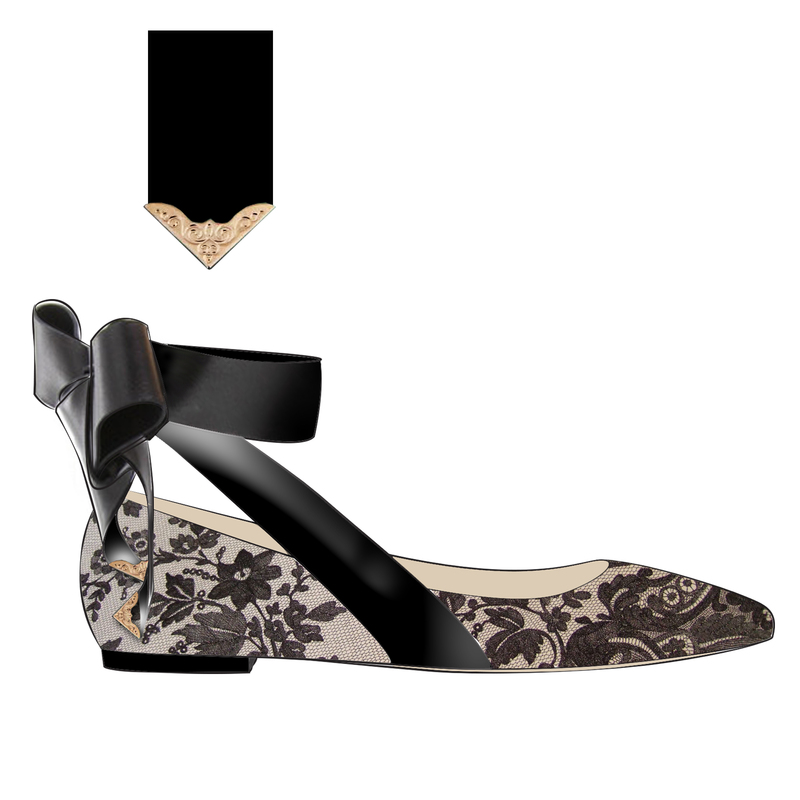 I particularly like Nancy Baroque pumps. Very festive! Mary black suede with gold glitter soles!